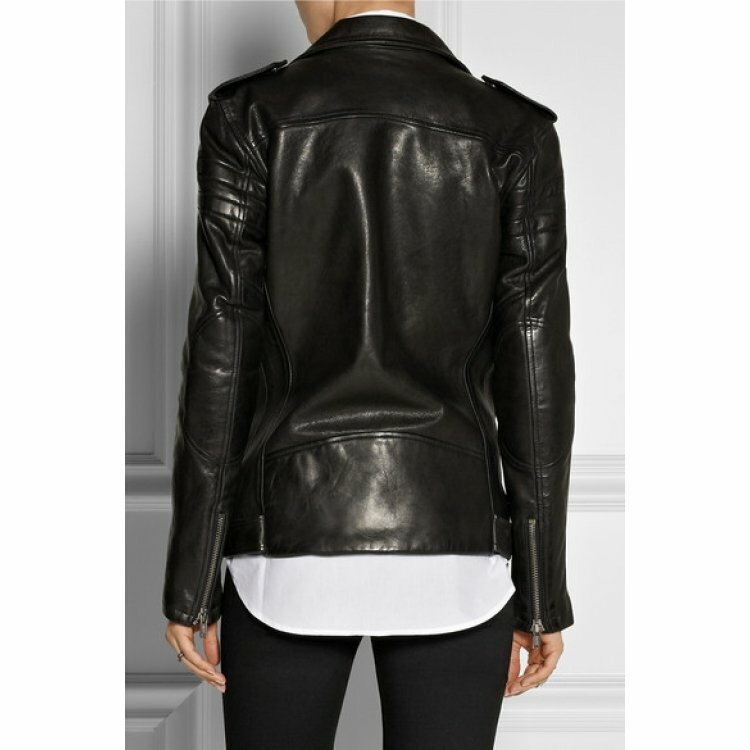 This rock punk inspired stylish black motorbike jacket made from high quality lambskin leather adds to the glam quotient to your wardrobe. 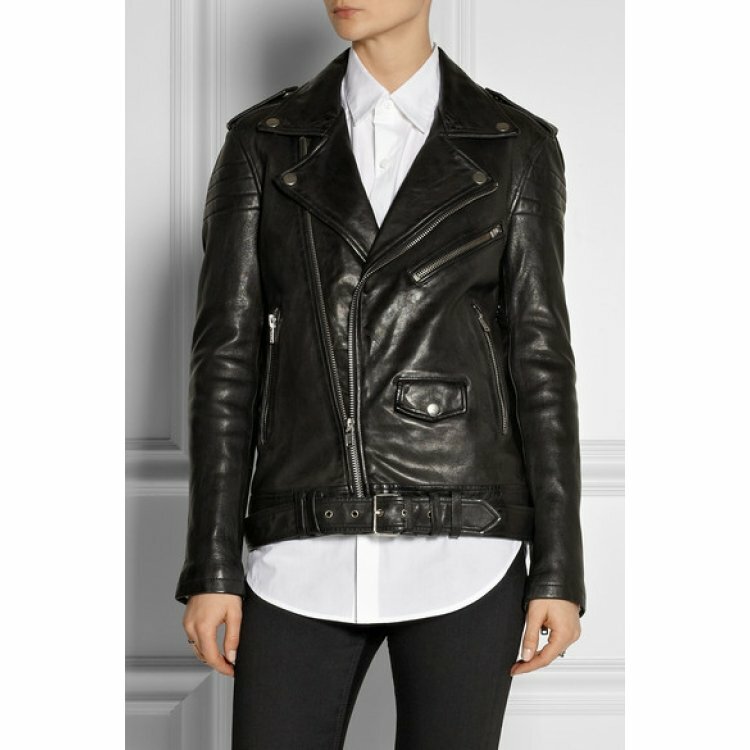 This exquisite jacket from the house of ZippiLeather comes with an asymmetrical front zipper detail and two side zipper pockets. Its double breasted collar is embellished with silver studs for that fashionable look. The jacket comes in a regular fit and is a right mix of party and casual wear. It comes in a flattering shape with various details apt for today’s women. Team it up with a pair of hot pants and ankle length boots for that smoldering look.